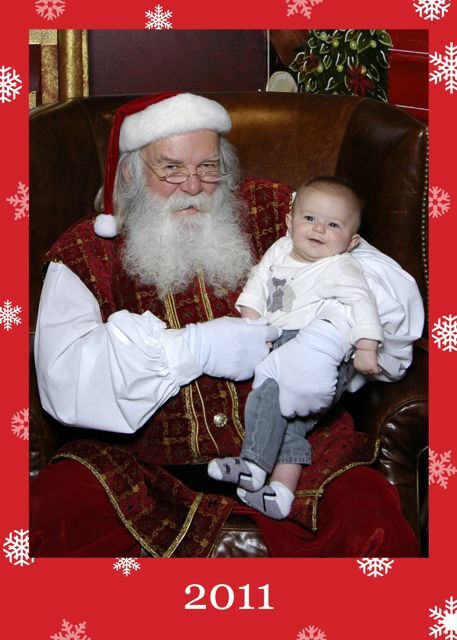 We took Kodi to see Santa today. Of course he told him he was naughty but in a good way, so that is just like being nice but way more fun! Kodi told him he wanted his two bottom teeth to come in already, and to be able to crawl so he can get around how and when he wants. And I am pretty sure it was the real Santa, and not one of his Elves he sometimes sends to help out. What a cutie! So wonderful! Enjoy him and yourselves!! !